To our Cale followers who may not have followed our journey on Facebook over the last 24 hours, Cale had a bike accident while playing with his cousin at their Grammy’s house last night. 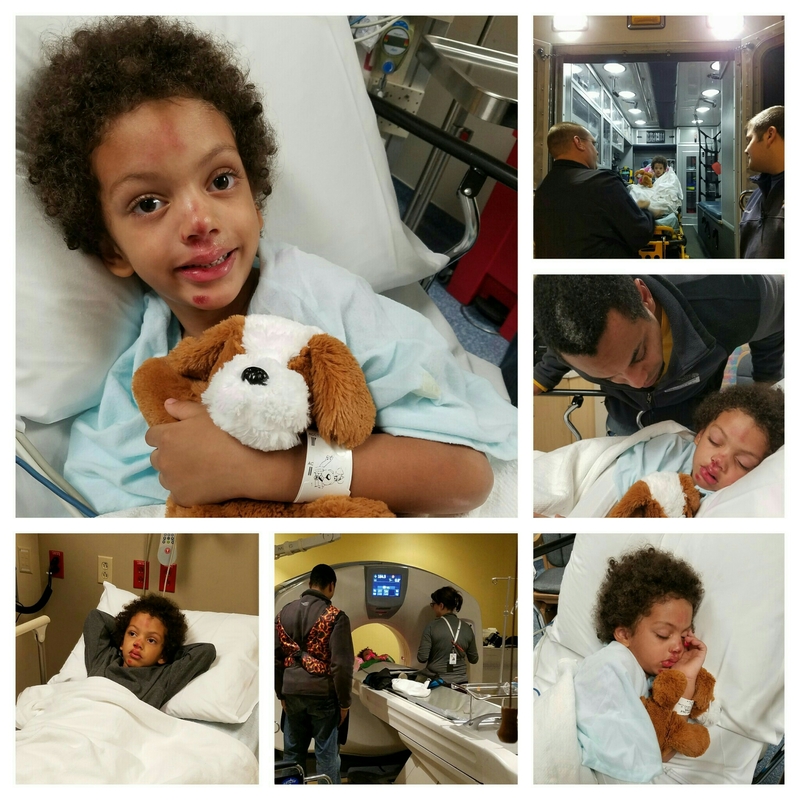 He ended up with a fractured skull, and fractured upper jaw, and lots of facial scrapes and bruises. With an overnight stay at Vanderbilt Children’s Hospital, they finally gave us the good news this mornimg that the fractures should heal on their own without surgery and Cale was cleared to eat again and be discharged. It was an emotional and exhausting 24 hours for us all, but we are back home again and on the mend with strict orders for Cale to limit his activity for 6 weeks (oohwee!!). We are so grateful things were not worse and for everyone’s love and support through all of this. Cale has been a trooper and we are so proud of his strength and courage. Here are a few pictures from his experience. Even in the hospital that kid knows how to post. Feel better, Cale! Glad he’s doing well! I know that must have been scary as HELL for you!